Ryan received his B.S. Degree from The University of Alabama in finance with a minor in economics. He also attended The University of Alabama School of Law where he received a Juris Doctorate and Master of Laws in Business Transactions. Upon graduating from law school, Ryan served as a law clerk on the Alabama Supreme Court for former Associate Justice Bernard Harwood, Jr. Following his clerkship, Ryan practiced law at the law firm Watson, deGraffenried, Hardin & Tyra. In 2005, Ryan and his father founded the law firm deGraffenried & Associates where Ryan is a partner today. 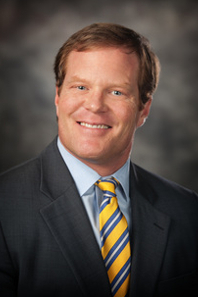 He is also President of the Montgomery based governmental affairs firm, Franklin Resources Group, LLC. Ryan is a member of the Alabama State Bar and the Alabama Law Institute's Business Entities Standing Committee.